How to add content to the Clipboard? : Quark Software Inc.
How to add content to the Clipboard? 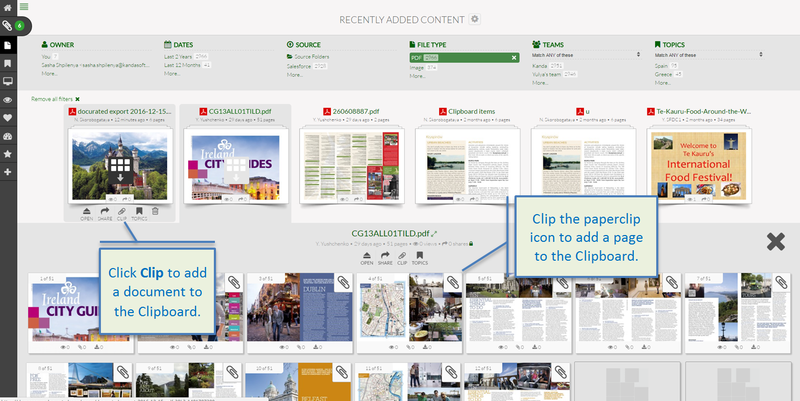 Summary- The entire curated document, particular pages, or individual objects can be added to the Clipboard. To add a particular page to the clipboard, expand the document tile and click the paperclip in the upper right-hand corner of the page. To add all pages to the clipboard, hover over the document tile and click the paperclip icon. 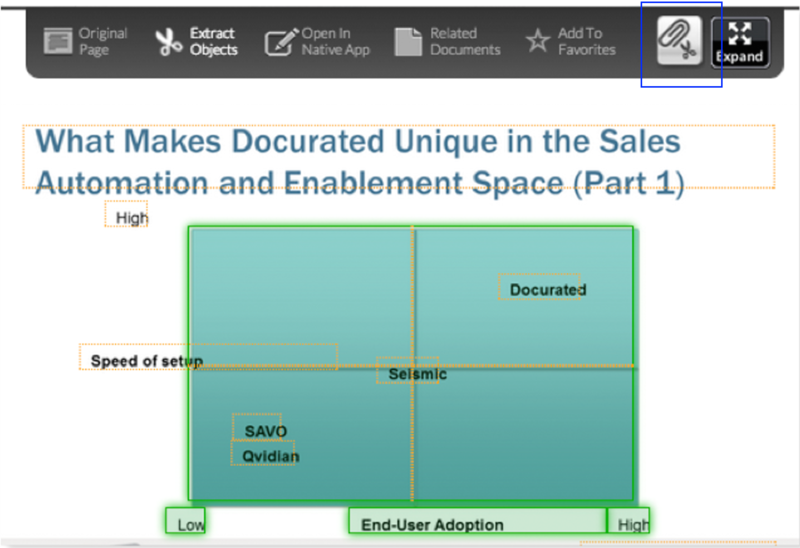 Open a particular slide of a document by clicking the "Expand" button (arrows). Click on "Extract Objects" (scissors icon) at the top of the slide (extractable objects will be framed in orange). Select the objects to be added to the Clipboard (selected objects will be highlighted in green). Click on the paperclip icon in the upper right hand corner to add the objects to the Clipboard. What is a Shared Content or Content? How it can be used? How to copy the content from one layer to another. How to work with App Studio in QuarkXPress 10?